Hi, friends! I hope everyone had an enjoyable Christmas weekend with friends & family. We packed in lots of family time (as well as lots of food) and Santa was very good to us. 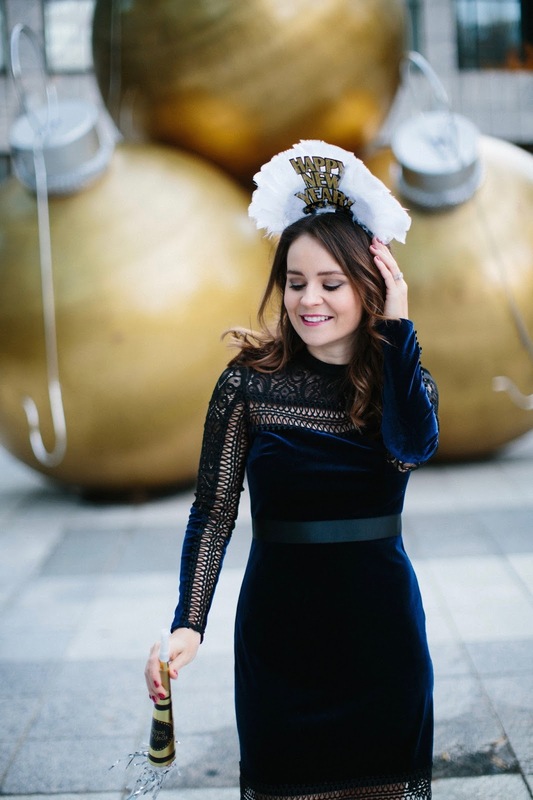 Christmas may be over but today I’m excited to share a festive look that would be perfect for New Year’s Eve or date night. 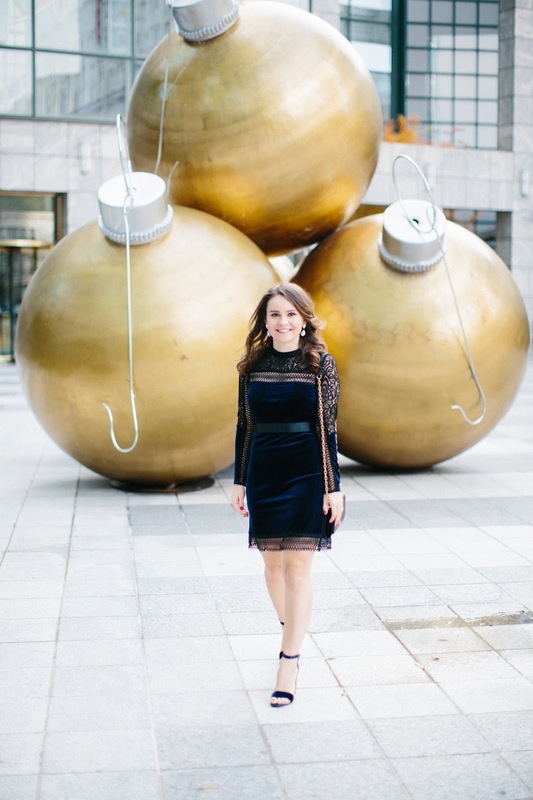 These photos were also taken by my favorite decorations in uptown Charlotte- the gold ornaments are everything! As I was perusing the racks at Nordstrom, I was almost finished shopping when this navy velvet dress caught my eye. It was the last one on the “final few” rack and in my size so basically it was meant to be. It fits like a dream and the lace and velvet details are so well done. I have to say, I’m constantly impressed with the price and quality of Topshop and this dress hit it out of the park. Unfortunately it’s almost sold out, but it also comes in a pink and midi version. And can we just talk about how it perfectly matches my blue velvet glitter heels?!? These are the perfect holiday shoes and they’re currently on sale for under $50 so grab ‘em while you can, ladies! I still don’t have any official NYE plans (so not like me) but whatever I end up doing, I’ll definitely be rocking this dress. 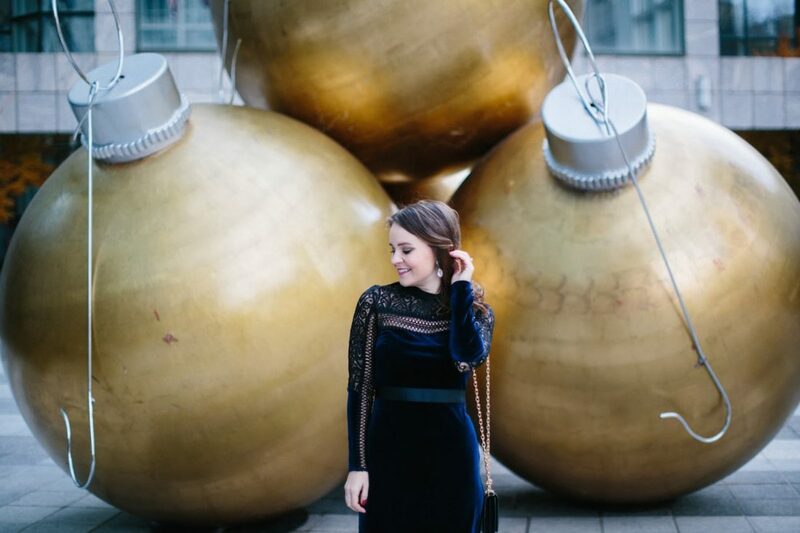 I have linked a few of my favorite velvet dresses under $100 below. Do y’all have anything exciting planned for New Year’s? I’d love to hear!! What a perfect backdrop for photos- love it! I'm headed to a low-key party with some friends and looking forward to ringing in the New Years! You look gorgeous! These pictures are adorable! I love that pretty velvet dress! 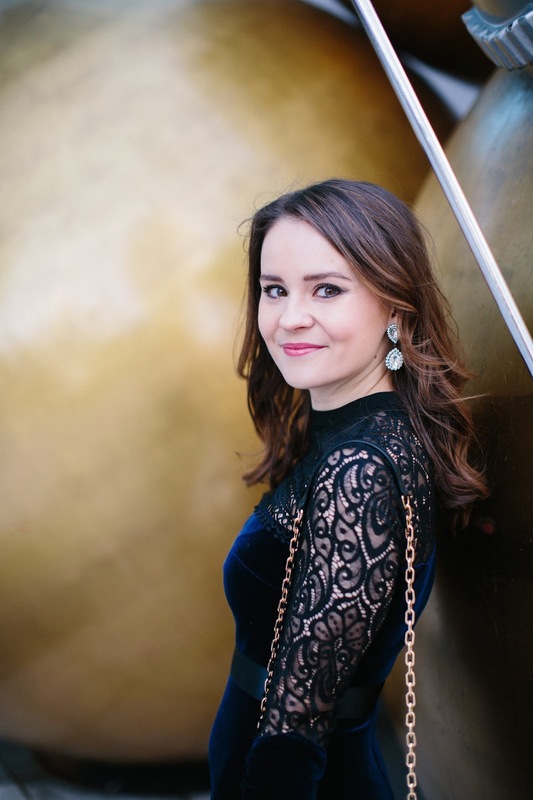 I love the idea of switching up the go- to sequins for velvet this year! Beautiful dress! I love velvet for NYE! You look beautiful in that dress! Okay this look is PERFECTION! Love the navy velvet! Wow that is majorly cute and festive! I absolutely love it!! And the color is amazing on you!! 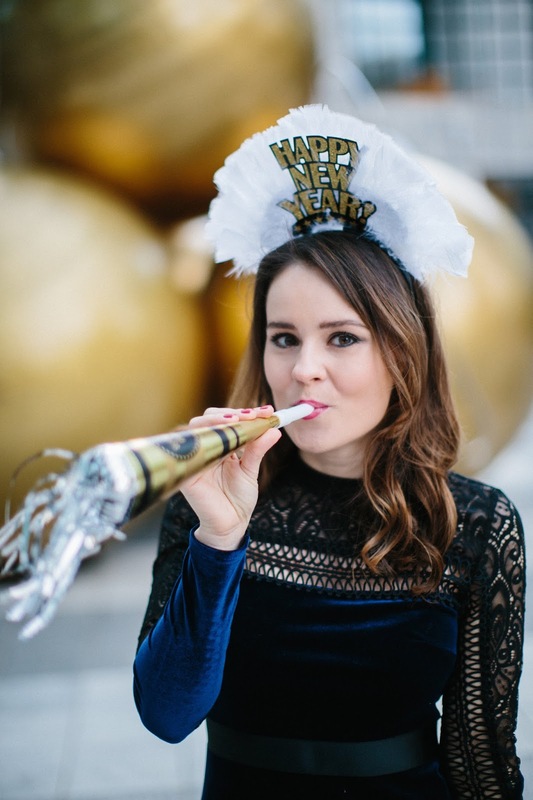 LOVE this NYE look! So gorgeous! This dress is so chic! It's perfect to welcome 2017! Such gorgeous photos!! I hope you have a happy new year!! Oh my gosh, that is an absolutely perfect dress! I love the velvet and the lace. Happy New Year! Such a beautiful dress with unique details! Our NYE is going to be pretty low-key, but there will definitely be some sparkle thrown in there. I'm not a heels kind of gal, but those heels look amazing! What a beautiful dress and I love those heels! You look New Years Eve perfect! Love these photos! That dress looks amazing on you!